5 Things To Pack & Wear for a Segway Tour – Got the Passports? Not having ridden a Segway before, I was quite unprepared when I visited a wine farm in South Africa for their Segway tour. 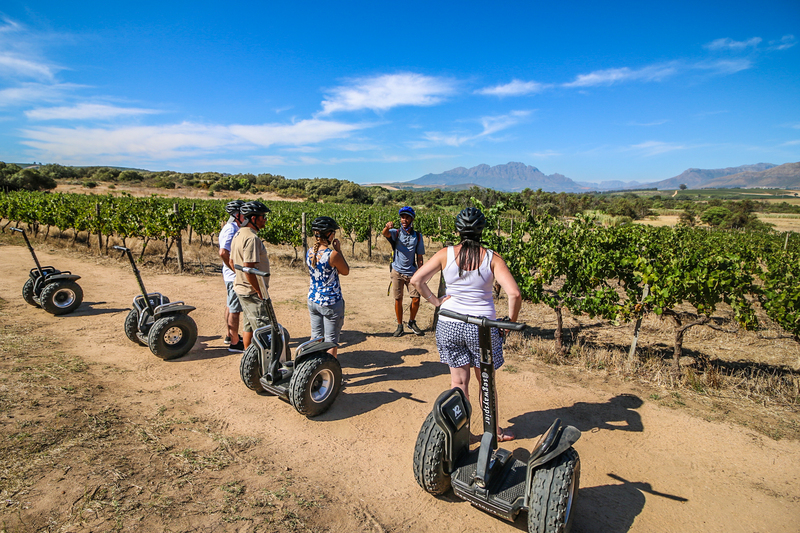 Spier, a famous wine farm in Stellenbosch, offers off road Segway tours, which are amazing! But I had anticipated the weather to be cold and arrived in trousers and sneakers while it was 35 outside! Here’s a picture of me wearing my husband’s swimming trunks, using my hair as sunblock and wearing sandals in the dirt. Oops! Sneakers: I rode in sandals, which is possible, but not the best option. Wear closed shoes. String Bag: While the machine is doing all the work, it is hot out there. Pack some water or cool drink in a light weight string back that you can wear on your back. Sun Glasses: Sunglasses can really help the wind in your face, dust flying up and the glare. Bandana: You can’t really wear a hat because you have a helmet on. I loosed my hair to act as a bit of sun buffer, but if you have a bandana that you want to wear to cover your neck or face, go for it. Sunblock: While we rode in the afternoon around 3pm, it was really hot out. Sunblock is welcome because your legs are also exposed to the sun and I did catch the light a little bit. 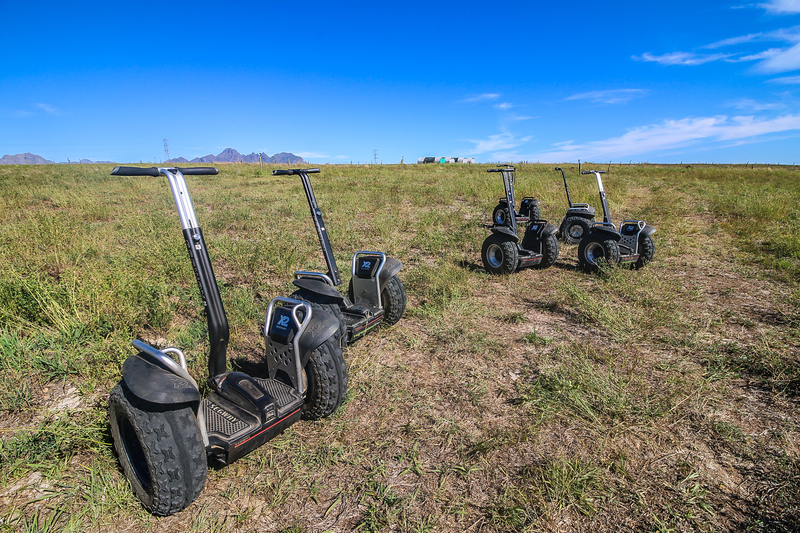 Would you like to know more about the Spier Segway tour? 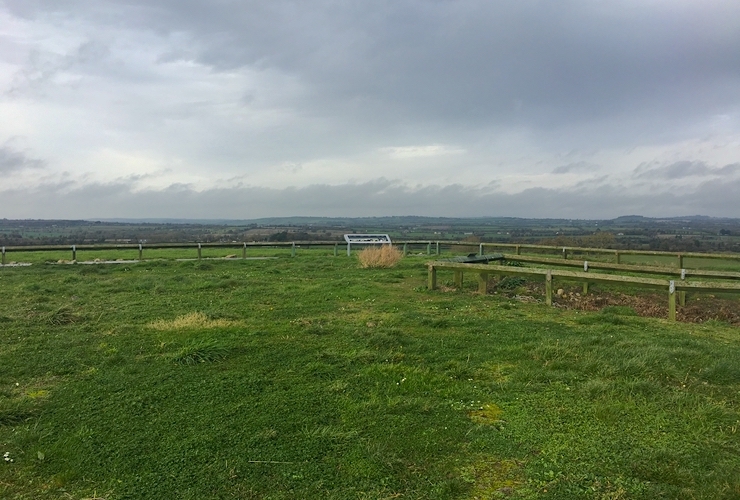 Read my full Spier off-road Segway tour review here. Full booking information available online.